← Earthquakes in the news this week, as 2015 wraps up! We worked on the top floor of a 6-story brick building; it certainly made lots of creaking, groaning sounds. I still recall the vivid sounds of computers and other office equipment falling to the floor, and the window blinds intensely slapping the windows. After the shaking stopped, I made my way out of my office and found that everyone had indeed fled the building during the quake. I realized then how important it is to learn about emergency preparedness ahead of time. I had experienced my first earthquake as a child; so I have since wanted to learn more about what to do. This 15th anniversary of the Seattle Nisqually Earthquake can become a “teachable moment” for all of us. Please take a moment to share resources and information with your families, friends, colleagues, neighbors and others that you spend time with who may not be aware of what to do. Let them know about the West Seattle Emergency Communication Hubs. 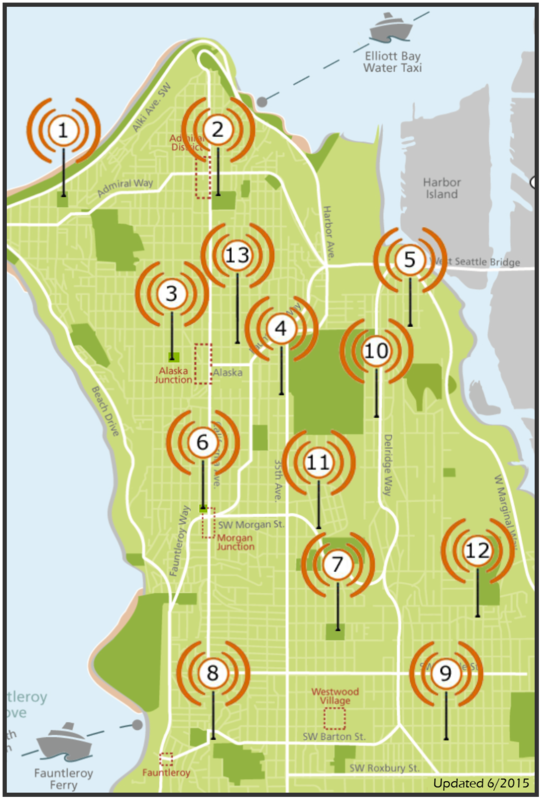 We now have a 13 hubs here in West Seattle, and over 50 throughout the city. Our main website, West Seattle Be Prepared, has a huge section of other Resources as well as detailed info about the hubs. We also have a West Seattle Be Prepared group on Facebook of over 1200 members that you can join! This entry was posted in Earthquake Preparedness, West Seattle Be Prepared and tagged Nisqually Earthquake, West Seattle Emergency Communication Hubs. Bookmark the permalink.